To celebrate the opulence of every day and special days, thoughtfully created jewelry by artist Georgia Hecht for FrenchGardenHouse. Each bespoke piece is hand designed, a one-of-a-kind creation using antique and vintage heirloom elements with a history and a unique treasured past. 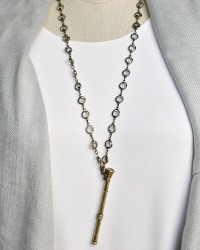 Sophisticated, stunning and collectible necklace is a little quirky, and has plenty of personality! 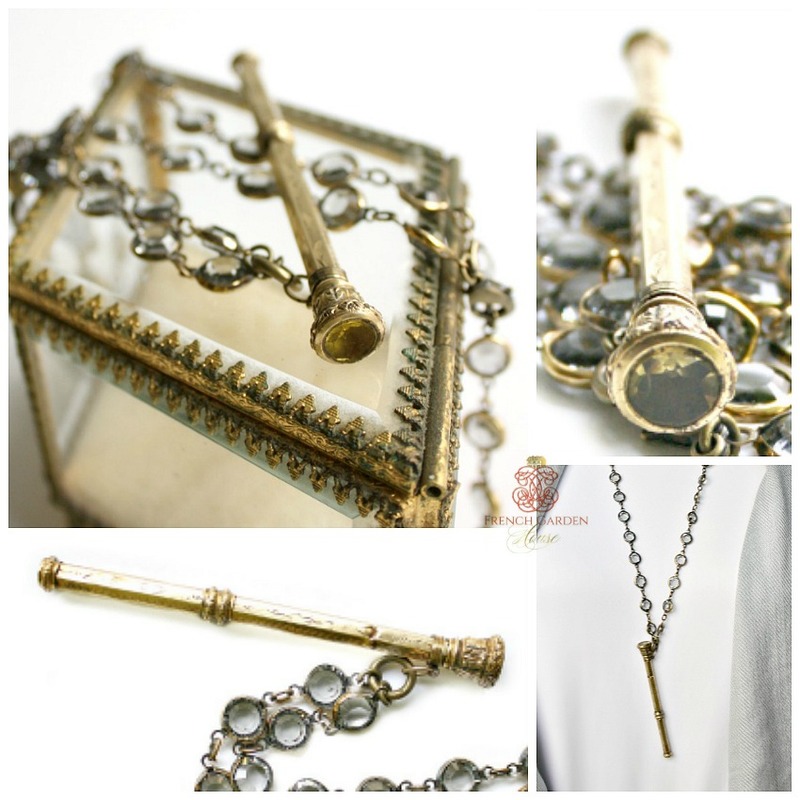 Features an antique Victorian gold filled telescoping pencil with a gorgeous citrine colored gem on the top, the little pencil is beautifully etched with designs. Who knows what love missives this has written over the years? No longer in working condition, with the grace and patina of time and a few little dents, no lead or end. 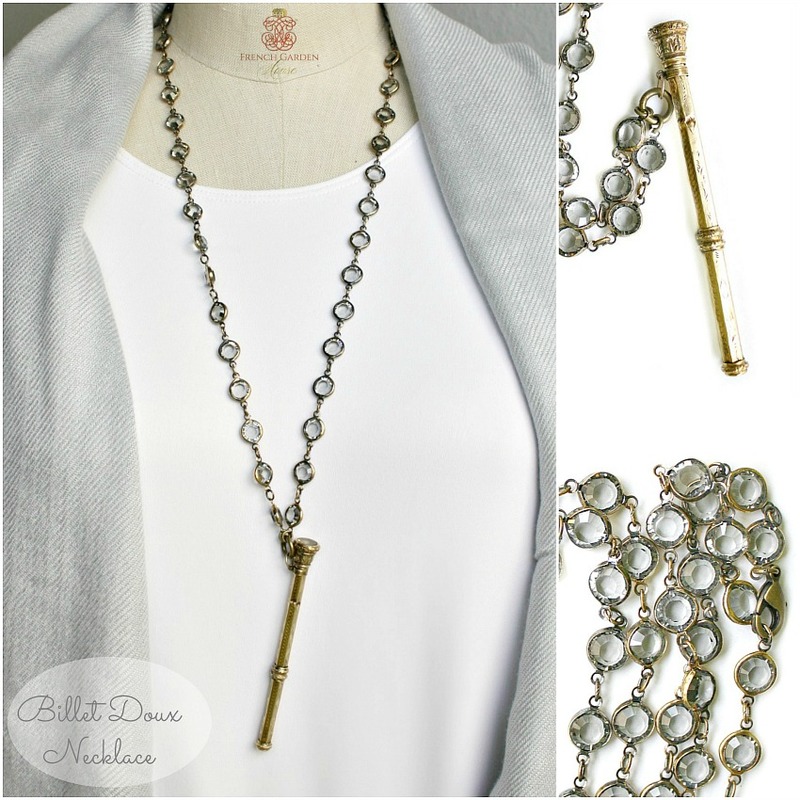 This romantic remnant of the past is suspended from a chain interspersed with channel set light Grey Crystals. Looking like a family heirloom passed down for generations to YOU...we won't tell it's not a storied piece from your past. Measures; chain 30", 3-1/2" extender. Pencil: 3-1/2"l.